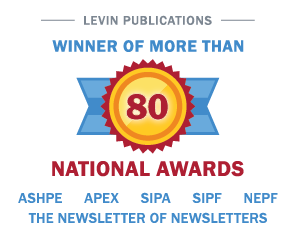 (New Canaan, Connecticut–July 26, 1999)—Irving Levin Associates, Inc. has just released the preliminary results of the Firm’s 1999 second quarter report on the merger and acquisition market in the health care services industry, available in mid-August. “The first two quarters of 1999 have witnessed the lowest level of health care merger and acquisition activity since the end of 1995, when 163 deals were announced. However, after the precipitous quarter-to-quarter drops in deal volume during the latter half of 1998, the market appears to be stabilizing in the range of 185 to 215 deals per quarter”, said Stephen M. Monroe, a partner at Irving Levin Associates, Inc.
“Even though the deal volume declined 42% against the year-ago quarter, we must remember that the 325 deals announced in the second quarter of 1998 represent an all-time record,” noted Sanford Steever, editor of the Report. “And while the market does not currently have the pizzazz to break that record, it continues to promote a healthy, significant flow of deals,” added Mr. Steever.